Buying a commercial property is a huge investment for you and your business. 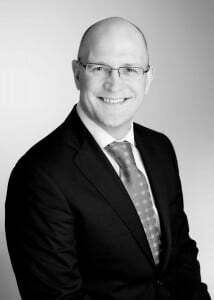 John Griffin has over 25 years experience in advising in relation to the purchase of commercial property. John and his team welcome the opportunity to become involved in the purchase of your commercial property at the earliest opportunity in order to save you time and money to bring the purchase to a successful conclusion. We encourage early instructions from our clients. This allows us to professionally advise and help you in this significant transaction. In particular you need to obtain final written loan facilities as soon as possible and instruct your own Architect or Engineer to carry out a full structural survey. The rule is “buyer beware” and it is up to the purchaser to protect himself by having a survey carried out on the structural integrity and condition of the building. Contact John and agree a price in advance. We will quote you by emailing a quote to you the same day. If you wish we are more than happy to meet with you face to face to discuss your needs on a no obligations basis. The policy of this office is to agree of all costs in writing in advance with you the client before the work starts. Proof of Identity being a copy passport and utility bill dated within the last three months. Written proof of your PPS no or Company’s PPS no if the property is held in the name of a company. Copy documents showing your status such as a marriage certificate, divorce decree. Since 2010 it is not possible for solicitors to furnish a commercial undertaking to a bank to “perfect title”. What this means is that lending institutions have to employ their own Solicitors to protect their interests and register the mortgage against the property. In every commercial transaction where money is being borrowed there are now 3 solicitors, one for the seller, one for the buyer and one for the bank. This has slowed down the completion of transactions. In addition, solicitors for the bank are very conservative and insist on every legal issued being completed perfectly before completion. The use of undertakings (or written enforceable promises by one solicitor to another) is no longer as common and this also has increased the time needed to complete deals. Considerable amounts of commercial property are being offered for sale by receivers acting on behalf of banks. The receiver, often a firm of accountants, is appointed by a lending institution and instructed to sell the property as expeditiously as possible. The receiver has very little knowledge of the property. He will instruct a large firm of solicitors to draft a “receiver’s contract” which will substantially limit the buyer’s rights. In particular the planning warranty under which the seller warrants that he has planning permission for everything built and all uses of the property will be deleted. This in turn will cause a buyer difficulty in that the buyers bank will not accept a contract without a planning warranty. It is often necessary for the buyer to obtain their own written planning opinions in order to successfully complete the purchase.